Ever since my friends and I had kids, we have been staying in on New Year’s Eve and celebrating with our families at my house. This year, I thought it’d be fun to do a little countdown activity for kids. 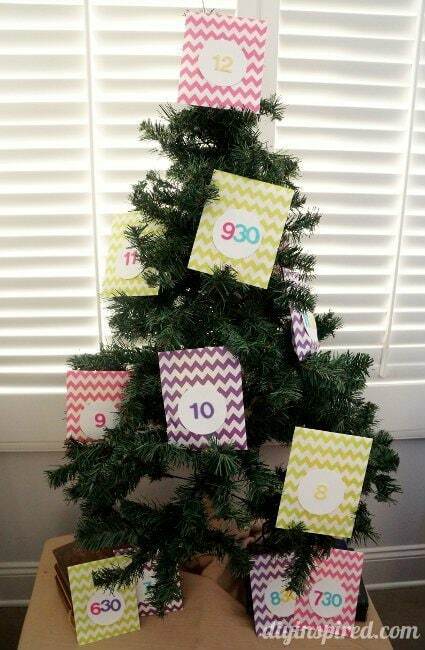 It’s simple and easy and hopefully, will keep the kids entertained and awake until the New Year. 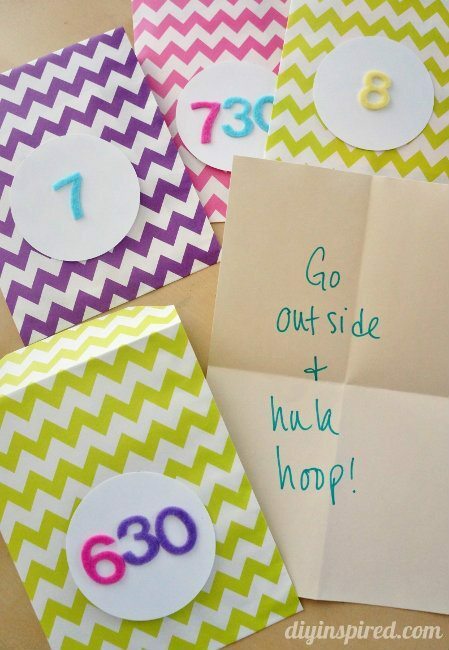 Here is my New Years Eve countdown idea for kids. 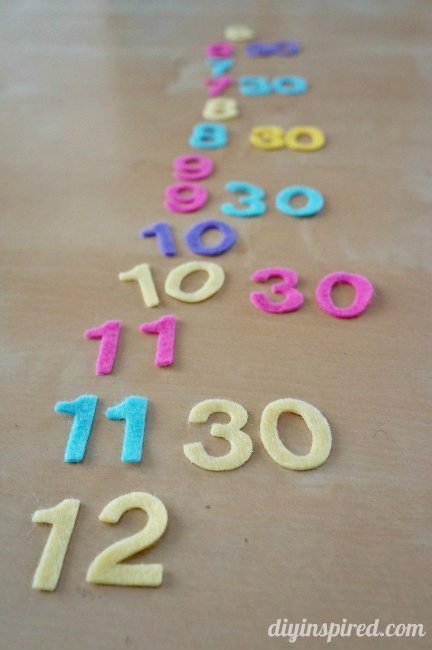 I had these felt numbers collecting dust in my craft closet. 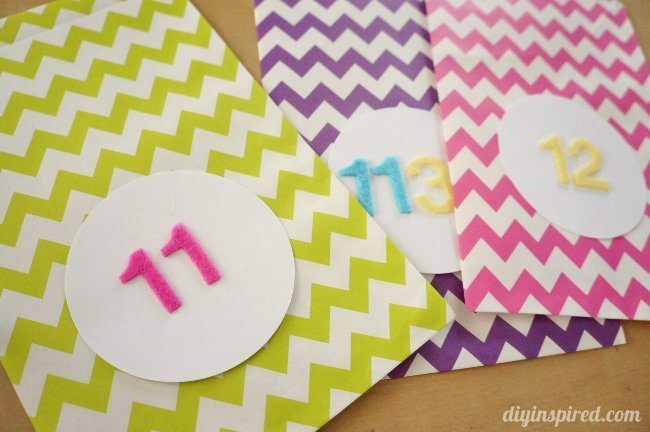 You don’t have to use these; in fact, it’s easier to just write the numbers on an envelope! I cut out circles with a circle pinch and then put the time in the middle. I started at 6:30 and made a bag for every half hour until midnight. Go outside and hula hoop. Sing “Jingle Bells” as loud as possible. Play a game of hide and seek. Give your parents a big hug and kiss. Take one piece of candy from the candy jar. Share a pack of candy with the other kids. You get the idea. We will have about seven kids at our party and I’ll let them take turns opening them and the older kids can help the younger kids read them. I took down the decorations from Christmas on one of my trees and added the envelopes on the tree. 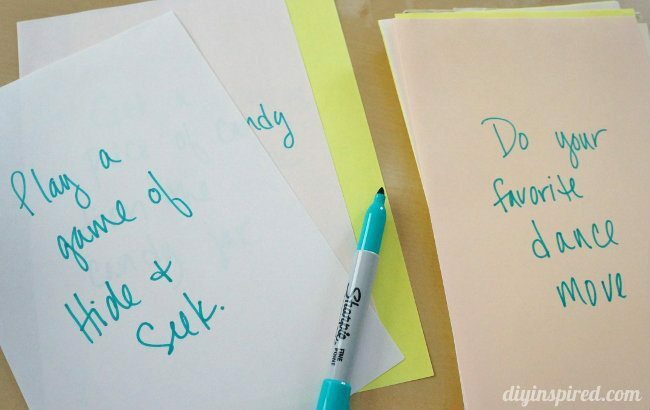 This would be fun to do at any party as well, or for the adults to do dares. I hope the kids enjoy it!